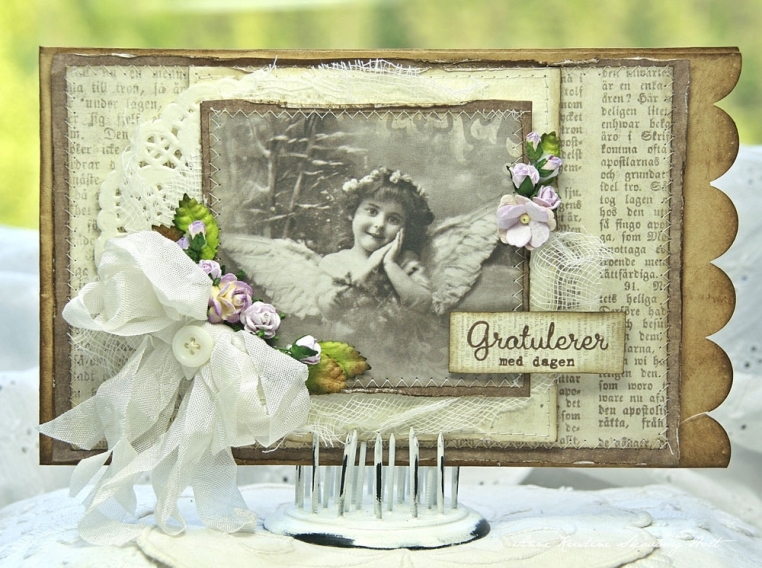 Hi everyone, here is a paperbag card with a beautiful vintage angel from the collection From Grandma’s Attic. OOoooo I love this one! What a beautiful vintage style!